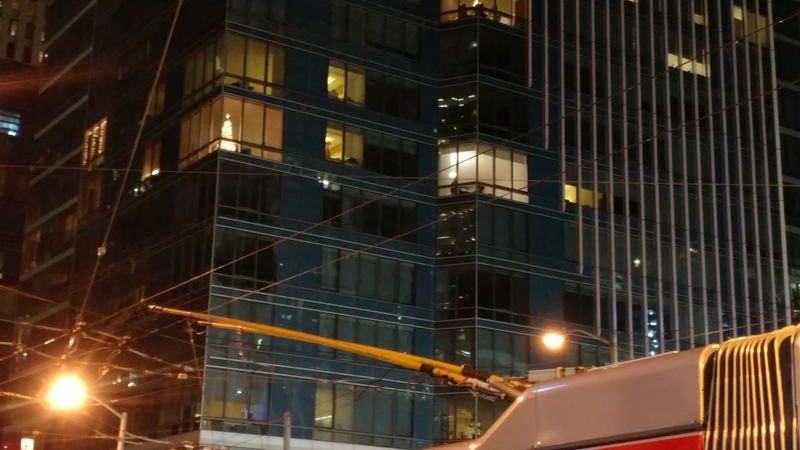 Wandering the city at night, a sign of humanity above winks above the MUNI bus, catching my eye. The Salesforce tower is to my right, climbing massively and ever ploddingly into the sky. This is the changing skyline of Mission Street, easily seen from the Bay Bridge toll plaza. Obscured by fog at its very tip top, I think it grows taller still. I can’t see the top floors as I stop and gaze up from across the street. 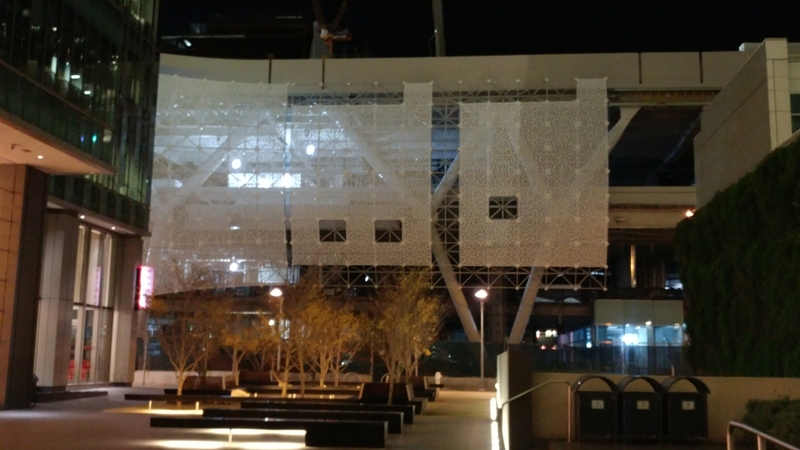 I still picture in my mind the Transbay Terminal that was demolished and left behind. The new terminal seems to want to be a piece of art, a bit of frosted filigree, and I often wonder what the first walk through when it’s completed will be like. Too bad dad will miss it, and grandpa too. This must be why I photograph it. It is, I know, the blood of historians that runs through me. I must admit it’s all pretty grand, the city is changing, even if it’s been built on startup money and old ships filled with 19th Century rubble and sand. When it’s all been finished, this SOMA street will look nothing like it did when Kerouac came through, writing his poems of empty lots and flop houses and the Railroad Earth. Railroad? What railroad? That’s mostly been replaced. The new sensation, the new Empire Builders, are funding the kind of highway that exists in cyber space.